When not busting pixels at Jets HQ, Ben occasionally plays with UK fight-pop poster-kids, Johnny Foreigner. 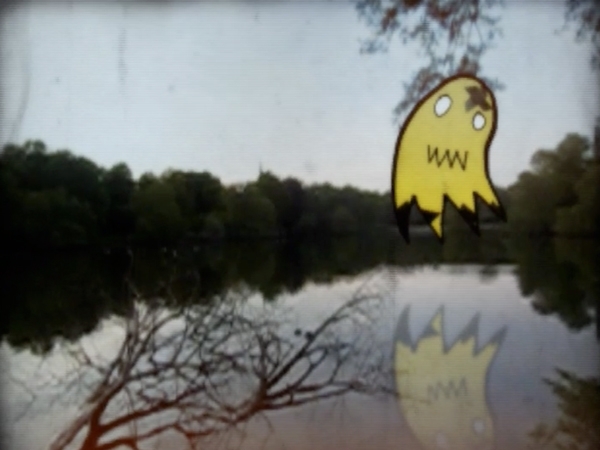 Joining the band for their 2011 European tour, he shot and created a series of clips, combing landscapes with cut-out photographs in the shape of ghosts. On the road, these clips would feed into the band’s live shows as they performed in front of an ever growing video-backdrop documenting their adventures. Back in South Africa, we received a request from the band to make a video for one of the songs from their then-forthcoming third album; johnny Foreigner vs Everything. We crafted a montage for the song PS Not. For it, we combined the on-the-road animations with slow motion footage of the band in London (as Shot by our friend Battlecat). Combining these different elements into a single piece, we were very happy with this little snapshot of a nomadic family running on guitar-fuel glee.